House Bill 2034 was introduced at the request of Dave Trabert, Mike O’Neal, Sam Williams, and Dennis DePew. It would ensure that professional negotiations would devolve into bitter arguments and anger. Essentially, the bill mandates only the negotiation of salaries; all other issues could not be bargained unless both sides agreed. Either side could simply say no to stymie the other. This bill is opposed by the Kansas Association of School Boards, the Kansas School Superintendents Association, United School Administrators/Kansas, and the Kansas National Education Association. All four of those organizations appeared before the committee to ask that they reject HB 2034 and instead enact changes to the PNA that were agreed upon by the four education groups. The only person to speak in favor of the bill was Dave Trabert, lobbyist for the Kansas Policy Institute. Trabert also recently testified in favor of Senate Bill 71 which would immediately cut $39 million out of public schools. Trabert told the committee that the bill crafted by the four organizations represented a compromise and so should be rejected. Compromise is apparently bad in Trabert’s world. Yet compromise is the very essence of negotiation – whether that negotiation is about your working conditions or the price you’ll pay for your next car. Trabert also asserted that school boards and superintendents were supportive of HB 2034 even though their organizations stood in opposition to the bill. He told the committee that he had spoken to superintendents and board members and they told him so. Asked who those persons were, Trabert said they were scared to be publicly named. They feel “intimidated” and in fear for their jobs. Interestingly, Trabert was supportive of the bill last year to strip teachers of all due process protections, leaving them the only ones really fearing for their jobs when advocating for children and schools. The genesis of this whole discussion was a request made of the four organizations by legislators to get together and negotiate changes to the PNA that would be agreeable to all. Those discussions resulted in an agreement that would modify the PNA to make the process more efficient, effective, and focused. The education organizations’ agreement is in Senate Bill 136 (which will have a hearing in the Senate Education Committee next week) and has been introduced in the House but does not yet have a bill number. The whole debate makes one wonder why, if the legislature asked the organizations to craft recommendations, they would then oppose those recommendations. Additionally, HB 2034 was opposed by the K-12 Student Performance and Efficiency Commission. The Commission rejected HB 2034 and instead encouraged the education organizations to complete their negotiations. The education community – teachers, superintendents, administrators, and board members – all support SB 136 and its House companion and oppose HB 2034. We can only hope that the Committee will listen to those who actually work in our schools and participate in bargaining over Dave Trabert and his unidentified supporters. The House Education Committee held an informative meeting with incoming Commissioner of Education Randy Watson and Brad Neuenswander on the Rose Standards (often called the Rose Capacities). Much of the discussion centered on assessments in general and what might be ways in which one can determine that the schools are successful in instilling the Rose Standards in students. This discussion was held preliminary to a hearing tomorrow on a bill from the Efficiency Commission that would create a commission to determine how to measure the Rose Standards. 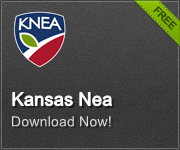 A bill modifying the professional negotiations act in accordance to changes agreed upon by KNEA, KASB, USA/KS, and KSSA has been introduced in the Senate Education Committee at the request of the four organizations. Senators seemed genuinely pleased that the organizations had crafted a set of recommended changes that would make collective bargaining more efficient, more effective, and more focused.